You may be surprised to learn the symptoms of magnesium deficiency. Many suffer from magnesium deficiency and don't even know it. However, those who are fortunate enough to suspect a deficiency often report amazing results once the deficiency is corrected. Learn more in this interview with health and nutrition expert Dr. Carolyn Dean, author of The Miracle of Magnesium. Dr. Dean has been a medical doctor as well as a naturopathic doctor for over 30 years. 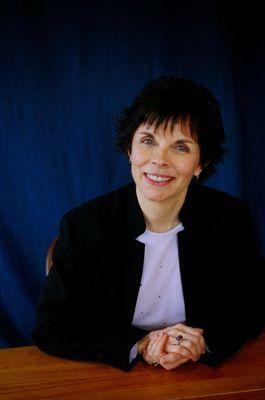 She has authored or coauthored 16 books relating to health and nutrition. She also offers a free newsletter at Dr. Carolyn Dean.com and offers assistance for all types of illnesses through her Telephone Wellness Consulting practice. Recently, LoveToKnow asked her about the importance of magnesium as well as magnesium deficiency symptoms. Here is what she had to say. Dr. Dean explains magnesium deficiency symptoms by showing readers the ways that magnesium is utilized by the body. 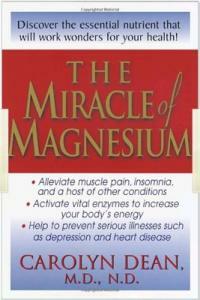 More in-depth information on the subject can be found in her book, The Miracle of Magnesium. LoveToKnow (LTK): Why is magnesium important? Enzymes stimulate every chemical reaction in your body. Without enough magnesium, hundreds of these enzymes would cease to work. It also helps with the functioning of thousands of other enzymes. Magnesium and B-complex to produce energy for the body by activating the enzymes that control digestion and absorption of food as well as the utilization of carbohydrates, proteins and fats. According to Dr. Dean, "Magnesium is required for the body to produce and store energy. Without magnesium, there is no energy, no movement, no life. It's that simple." Magnesium is needed to help create the structural components of your body. It's essential for the creating of DNA and RNA. Magnesium works with calcium to allow electrical transmission to and from the brain. Again, magnesium works with calcium in this regard. Calcium causes contraction of the muscles and magnesium causes the relaxation. This is why some symptoms deficiency can include muscle spasms or convulsions. LTK: How common is magnesium deficiency and what are the symptoms? Everyone could benefit from extra magnesium supplementation. There is a long list of possible symptoms that can identify your need for magnesium. I list 100 factors in my book. If you recognize a dozen or so in yourself, you may want to supplement and see if it helps. Other indications that you may need to supplement with magnesium would include certain medications or even other supplements. If you take calcium, zinc or iron supplements that do not include magnesium, you should add some. If you are taking drugs such as Digitalis, antibiotics, diuretics, steroids, birth control pills, synthetic estrogens, Indomethacin, Cisplatin, Amphotericin B or Cholestyramine, you should also consider a magnesium supplement. In addition, if you are pregnant, plan to become pregnant in the next year, have a history of preeclampsia or eclampsia or suffer from post partum depression, a magnesium supplement is recommended. LTK: What are the best magnesium supplements? Dr. CD: You can increase your magnesium intake by eating foods high in magnesium such as nuts, seeds, deep green leafy vegetables, whole grains and chocolate. The best form for supplements is magnesium citrate powder for people with constipation. Magnesium oil or gel on the skin will help avoid a laxative effect for people who have loose stool. I recommend Angstrom magnesium which is low potency and 100 percent absorbed for people who have loose stool. Supplementation is safe. Magnesium, unlike calcium, is eliminated from the body when there is excess. Elimination is through the bowel and through the urine. If you are going to only try one supplement, make it magnesium because it will cause so much improvement in your body. Then you can choose to do even more positive things for your health. Dr. Dean has many testimonials from people who have read her book and recognized their own magnesium deficiency symptoms. After supplementing with magnesium, they all saw amazing changes in their health. If you suffer from pain, migraines or myriad other health issues, read Dr. Dean's book or visit her website, Dr. Carolyn Dean.com. Also, be sure to join Dr. Dean online for Future Health Now!, a 48 week total health program. LoveToKnow would like to thank Dr. Carolyn Dean for taking the time to educate us on the symptoms of magnesium deficiency and how to manage them.